Canada used to be known as a leader in the area of e-government and had an outstanding record for making government information and services available online. This changed with the emergence of web 2.0 technologies. Indeed, for a number of years, the federal government proved to be slow in embracing the interactive potential of new technologies to engage with citizens. However, its new open government strategy provides some evidence that things are changing. This chapter tracks the evolution of e-government in the Government of Canada. It questions what factors led to Canada’s declining record in the area of e-government and asks whether the government believes its relationship with citizens is changing and what efforts it has taken to embrace e-government 2.0. 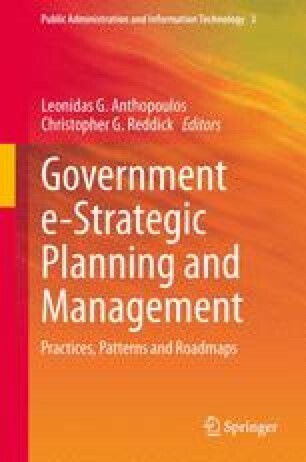 Using a case study approach that draws on a strategic management framework and models of e-government, the chapter concludes that Canada’s declining reputation can be attributed to the lack of an ongoing strategic plan, poor understanding about the capacity of technology, lack of understanding about the changing needs of citizens and a tumultuous political environment. Ultimately, the chapter shows the importance of having a strategic plan that is reflective of technological change and success in the area of e-government. The Canadian Open Government Action Plan indicates a desire for change and the outline of a strategy to be monitored in the coming years. Ethi. (2011). Standing committee on access to Information, Privacy and Ethics (Ethi). House of Commons, Canada. Retrieved January 3, 2012 from http://www.parl.gc.ca/CommitteeBusiness/CommitteeMeetings.aspx?Cmte=ETHI&Stac=3081704&Language=E&Mode=1&Parl=40&Ses=3#DT20110323ETHIMEE52ID3081704. Government of Canada. (2011). Speech from the Throne. Retrieved May 18, 2012 from http://www.speech.gc.ca/local_grfx/docs/sft-ddt-2011_e.pdf. UN. (2003). UN Global e-Government Survey 2003. Retrieved May 10, 2012 from http://unpan1.un.org/intradoc/groups/public/documents/un/unpan016066.pdf. UNPAN. UN E-Government Survey. Retrieved May 10, 2012 from http://unpan1.un.org/intradoc/groups/public/documents/un/unpan016066.pdf.